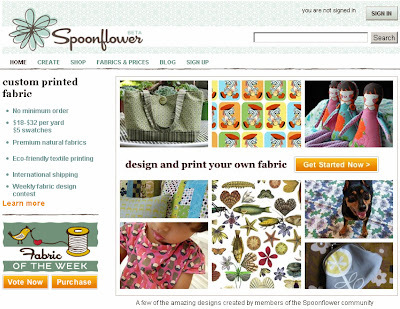 I found this website - Spoonflower - where you can actually create a design and have it printed onto fabric to create your own custom designed fabric. WOW! All for a fairly reasonable price. Also found on their website that they are in Mebane, NC which isn't that far from here. I wonder what kind of design I could make to be printed... so much fun!